One of four Cochran children, Barbara, older sister Marilyn and younger brother Bob were team members at the 1972 Olympic Winter Games in Sapporo, Japan. Barbara Ann Cochran was born January 4, 1951 in Claremont, New Hampshire and has come a long way in ski sport since her first race at six years of age. Barbara Ann, silver medalist in slalom at the 1970 F.I.S. World Championships and member of the F.I.S. Team, began skiing at about four years of age. She won her first championship at the age of 15 in the giant slalom of the 1966 Junior Nationals at Winter Park, Colorado. In 1970, she finished fifth overall in the slalom. In 1971, she won back-to-back World Cup races (slalom and giant slalom) at California’s Heavenly Valley. In 1972, she returned from Japan to receive the Billy Kidd Award, the Coronet Skier of the Year Award, the Vermont Athlete of the Year Award and the Beck International Trophy. The women’s skiing events of the 1972 Sapporo Olympic Winter Games wound up in dramatic fashion when Barbara Ann Cochran won the slalom gold medal. This triumph, combined with Susan Cochran’s bronze medal in the opening downhill, saved the day for American skiing. 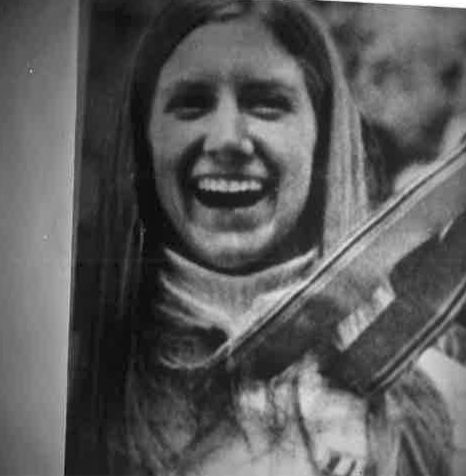 Barbara, one of three members of the Cochran family on the United States Ski Team (older sister Marilyn and younger brother Bob also competed) proved the class of the field in the two-run slalom and her margin of victory over France’s Daniele Debernard was a mere two-hundredths of a second – 1:31.24 to 1:31.26. Standing 5 feet 1 inch in ski socks, Barbara weighed in for the 1972 Winter Games at 112 pounds. From Richmond, Vermont, she had been coached in the beginning by her dad, Mickey Cochran who became head coach of the U.S. Alpine Team in 1973, once again directing the racing family, including Lindy Cochran of the “B” Team. Barbara’s gold medal was the first won by an American in 20 years. Back in 1952, Andrea Mead Lawrence had won two gold medals in Norway while the 1948 Winter Games in Switzerland had seen America’s first gold medal in ski sport, captured by Gretchen Fraser. When Barbara Cochran retired from the World Cup circuit at age 23, she had won 345 points, more points than any other U.S. skier, male or female, had ever accumulated in skiing history. Barbara Ann Cochran was elected to the U.S. National Ski Hall of Fame in 1976. If you notice any errors or inconsistencies in Barbara Cochran's bio, click here to let us know.